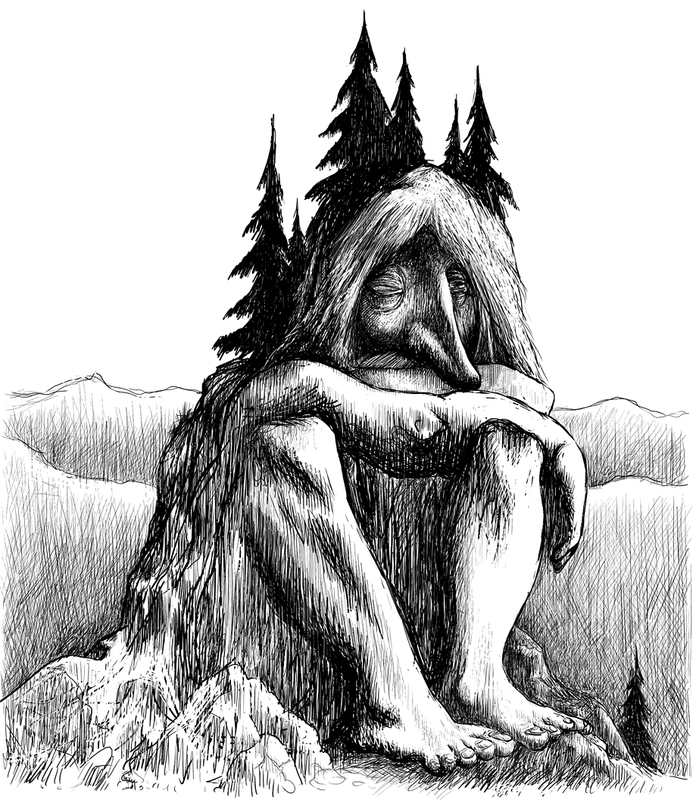 Troll (from wikipedia) : A troll is a supernatural being in Norse mythology and Scandinavian folklore. In origin, one of the meanings of the term troll was a negative synonym for a jötunn (plural jötnar), a being in Norse mythology, although the word was also used about witches, berserkers and various other evil magical figures. In Old Norse sources, beings described as trolls dwell in isolated rocks, mountains, or caves, live together in small family units, and are rarely helpful to human beings. Troll (also from wikipedia): In Internet slang, a troll is someone who posts inflammatory, extraneous, or off-topic messages in an online community, such as an online discussion forum, chat room, or blog, with the primary intent of provoking readers into an emotional response or of otherwise disrupting normal on-topic discussion. I don’t believe we need a policy before we can delete comments or banish trolls. GG and I write this in our spare time and pay for the web space. We don’t have to let rude people say ridiculous things on our turf. Yes, we believe in free speech, but neither of us is in the habit of welcoming people into our physical homes who like to spout obnoxious bigotry. The Pagan Princesses is our internet home, and the same principle applies. But while a comment policy is not needed to give us permission to banish or delete, I thought knowing the “castle rules” might give people the freedom to post more commentary. You can say a whole lot here and not be held in contempt. These princesses actually like differences of opinion. So… let’s go over what this commenter did wrong and what she could’ve done differently to not inspire this post. Commenting Rule #1: Treat GG and I like we’re reasonably honest people with no hidden agenda, and if you’re going to argue with content (which is totally welcome), at least know the basics of what this blog is about. What she should have done differently: Umm… well… She could have read the title of our blog, The Pagan Princesses, and thought, “hey, maybe these ladies are Pagan.” I guess if your mind is completely soaked in some serious Kool-aid you might think two princesses would spend nearly two years writing a blog that purportedly promotes Pagan interfaith tolerance but in reality subliminally sends messages… No, I can’t even finish that sentence. Look, if somebody doesn’t like GG and I… we don’t care. They won’t be the first or last person. But before anyone posts about what crappy people we are, they should at least read enough of the blog (i.e. the title) to know that GG and I are Pagans. A tad more in depth reading would show that we’re Heathens with Teutonic heritage who practice ancestor worship. There is no way we would intentionally denigrate the history of our own people. It doesn’t take much reading at all to get that. In case somebody else is confused, this blog is not a conspiracy. We are writing in earnest. Rule #2: If you can’t phrase something respectfully, take your fingers off the keyboard. Absolutely no slurs towards anyone are welcome on this blog. What she did wrong: Devalued another faith with slanderous language and by calling their vision of divinity false. What she should have done differently: All religions should be spelled with a capital letter. 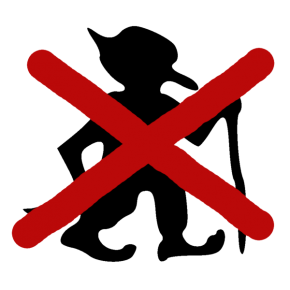 If you are not a Christian, don’t use Xtian (I know that shorthand originally came about from the Greek letter “Chi” – the first letter of Christ’s name, but too often it get used as a snarky way of x-ing out Christ. To avoid confusion, don’t do it.). Do not stereotype anyone of another faith as a murderer, a terrorist, a satan-worshipper, or anything ridiculous like that. The Pagan Princesses is also not the place to denounce or diminish other gods by say, I don’t know, calling them false. It’s true that we people of faith haven’t always been nice to each other. There’s been some lion-feeding and some burning at stakes and guillotines and other, more recent examples of bad behavior (pardon my understatement). Some people have a lot of frustration over past cultural violence and lost histories. There is a lot of anger now with the influence of religion over politics and fears of religiously inspired terrorism. But here in The Realm, all faiths are welcome. You don’t have to talk like no wrong has ever existed, because that would be a lie. But speak about it without condemning everyone for the actions of some. Rule #3: When you point out an error (and please point these out), include at least one reputable citation. What she did wrong: After implying GG and I were teaching bogus history, she proceeded to tell a version of history I’ve never heard before and didn’t offer a single source to back up her crazy sauce assertions. So, if you spot an error in our writing and would like to point it out, please add citations. This helps a lot because when we post a correction, we now have a citation to include in the post. It also helps because we will do due diligence on claims made by other people. It’s not that we don’t want to trust everyone, but this is the crazy interwebs and we all know how misinformation gets spread by well-meaning people. Paganism seems to be unfortunately rife with mistaken histories, and we at The Pagan Princesses strive very hard to stick with verifiable historical information. This is not meant to stop anyone from telling us what they believe. If you believe something that has little or even no historical backing, that’s totally cool. Faith is always a leap. Tell us about it! There is nothing wrong with, “I realize the research says X, but I believe Y because…” What I’m asking is that nobody contemptuously insist my research is wrong and I need to change my attitude and/or rewrite my article because you think the gods speak to you personally and you know all truth. And there you have it, a commenting policy for The Pagan Princesses. Comments around these parts should respect religious diversity (and diversity in general), know what the purpose of this blog is, and, when arguing facts, contain citations. If your comment can work within those bounds, please post! We’re all in favor of discussion, debate, and diversity of opinions! If your comment cannot… we do reserve the right to smash trolls with a hammer. We are Heathens after all. * The commenter was, much to my shame, a fellow Pagan. *le sigh* Pagans of The Realm, I admit, I hold you unfairly to a higher standard. If somebody from a different religion wants to represent their faith by being an obnoxious idiot, well, I don’t take it ragingly personal. But when a fellow Pagan shows up sounding like a giant tub of mean-spirited stupid, well, in case you didn’t notice, this website is about showing people that Pagans are nice, normal, productive members of society. Pagan trolls are the ultimate fail on a Pagan blog. As much as I will try to play fair, asshat Pagan comments are more likely to get my fingers hovering over the delete key because that’s just embarrassing. **UPG – Unverified Personal Gnosis, i.e. a belief which is not backed up by research. There is nothing wrong with UPG – in fact, I like to hear other people’s UPG – as long as it is labeled as such. Previous postWhedon in the Woods: Archetypal Lambs, Baddies and Gods (oh, and lots of spoilers!) Next postAre We Happy Princesses? Count On It! I haven’t been out trolling for a long time. But the concept of smashing trolls seems appropriate. I’ve followed the PP’s for almost two years. During that time I have enjoyed learning more about religion than I ever though I wanted to know. I might be able to borrow Mjolnir if you need it, Thor and I are pretty tight lately. Thanks, T.K. Your commentary is always welcome ’round these parts! You keep me smiling! Off topic- but this reminded me of a suprisingly good Norweigian movie we saw called “Trollhunter” http://www.imdb.com/title/tt1740707/. I highly recommend it. On topic, too bad someone decided to spoil the mood. Your rules are good rules. I kinda wish I could post those rules at parties too! There’s another kind of troll that shows up in person.